£2345 pp, £220 single supplement. An eleven day delight in North Africa covering the birdlife of desert, mountain, coast and wetlands, plus the spectacle of spring migration from Africa to Europe. 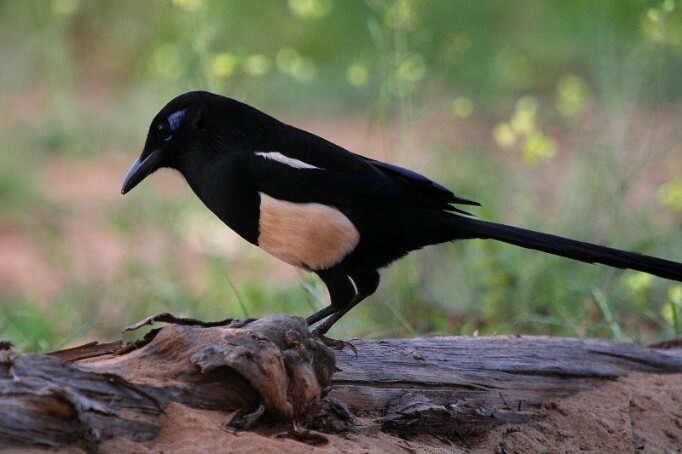 Morocco has specialities and near-endemics only found in the south of the Western Palearctic, and the country could have been designed purely for birding! The variety of habitats includes stony deserts (hammada), sand dunes, lakes, rivers, estuaries and the immense Atlas Mountains, where we drive to around 2600m to go birding, giving it extremely interesting avifauna. The birdlife is complemented by amazing polychromatic rocky landscapes which makes driving a picturesque sequence of endless pleasure. Morocco still has a rural style of life lost in most European countries, which has helped birdlife for centuries. 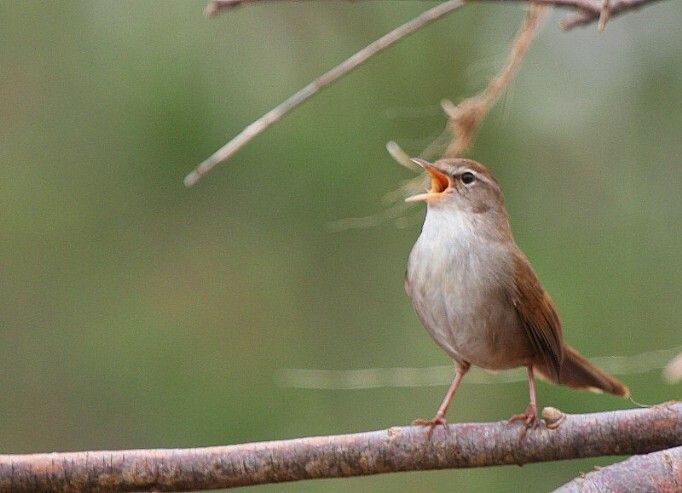 In late March passerines are migrating to Europe and the beautiful Moroccan landscape explodes into bloom, helping birds such as Nightingale, warblers and buntings on northward migration, adding an extra dimension to the tour. By fully exploring all these habitats we should find a mouth-watering list of species. Enjoy your complimentary pre-flight overnight hotel before your holiday begins. Full details here. After relaxing in our complimentary airport lounge, we fly from London Gatwick to Marrakesh, where White Stork Pallid & Little Swift are abundant. Before dinner we will take a short walk around the nearby gardens, which will produce interesting birdwatching. There is an optional visit to Marrakesh city after dinner. Overnight in Marrakesh. This morning we drive up into the High Atlas Mountains and visit Oukaimeden. As we drive along the cultivated valley floor we should find a good mix of resident and migrant species such as Woodchat Shrike, Common Crossbill, Hawfinch, Brambling, House , Rock & Cirl Bunting and we may see stunning Moussier's Redstart. Slightly higher up among the rocky slopes we will search for Barbary Partridge, Blue Rock Thrush and the endemic Levaillant's Woodpecker. When we finally reach the ski resort of Oukaimeden we will take some time to admire the stunning scenery before beginning our search of the snowline for handsome Crimson-winged Finch. Other species here include Alpine Accentor, Rock Sparrow, Water Pipit, the seebohmi race of Northern Wheatear, Red-billed and Alpine Chough and Shore Lark. Raptors to keep an eye out for include Golden Eagle and possibly the majestic Lammergeier. Overnight in Marrakesh. Day 3: From Marrakesh to Boumalne. We will drive through the High Atlas Mountains where snowy peaks visible from miles away decorate the landscape through an unexpected series of different habitats. We have our own raptor watch point, from where we search the blue Moroccan skies for resident and migrant birds including Lanner, Barbary Falcon, Lesser Kestrel, Black Kite, Long-legged Buzzard, Short-toed and Booted Eagle. We will stop at the scenic and impressive Tizi `n' Tichka pass to admire its fabulous geological rock formations before continuing on our journey to the stony desert. The road through the mountains is extremely winding and we take our time, stopping at a few convenient locations for exciting birds such as Levaillant´s Woodpecker, Mourning Wheatear and Trumpeter Finch. We stay for two nights in Boumalne, with impressive views of the Dades river. After a good night's sleep we will make an early morning visit to the famous Tagdilt Track. Despite the nearby rubbish tip this is still an excellent area for some very special birds. Careful searching could reveal Cream-coloured Courser, Black-bellied & Crowned Sandgrouse, Thick-billed, Bar-tailed, Desert and Temminck's Horned Lark, as well as Red-rumped and Desert Wheatear and Trumpeter Finch. On a recent trip we saw Houbara Bustard ten metres from the vehicle here! We also keep searching overhead for Lanner, Long-legged Buzzard, Booted Eagle, Montagu's Harrier and other migrants. In the afternoon we will head for the spectacular Todra Gorge, where the towering pink rock walls are home to Crag Martin, Pale Crag Martin, Alpine Swift, Blue Rock Thrush, Barbary Partridge, Rock Bunting and Bonelli's Eagle. In the open areas are Mourning Wheatear and Desert Lark, and here we have our first chance of North-west African endemic - Tristram's Warbler. Day 5: From Boumalne to Merzouga. After a last look at the Tagdilt Track we drive on towards our secluded auberge at Merzouga, situated right on the edge of the Sahara. 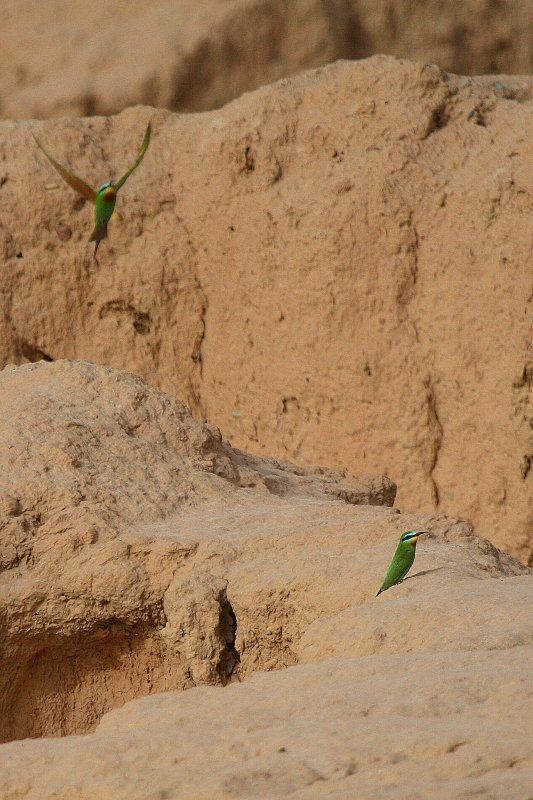 The drive east will no doubt be punctuated with stops to check out the numerous wadis and palm-fringed oases, as we look for Bluecheeked Bee-eater, Lanner and migrants such as Subalpine Warbler, European Bee-eater amongst others. A short walk before Merzouga will give us the chance to see the magnificent desert race of Eagle Owl in one of two places. We stay for three nights in Merzouga. Our auberge is set in attractive gardens with surrounding palm trees which attract a good variety of migrants, and the immediate area is worth checking at every opportunity for species such as Hoopoe, Woodchat Shrike, Wryneck, Rufous Bush Robin or Nightingale. We will spend a whole day checking various sites around the edge of the red sand dunes of the Erg Chebbi - the largest dune system in Morocco. Our major prize should be found around the various cafes that are dotted about the landscape, elusive Desert Sparrow. 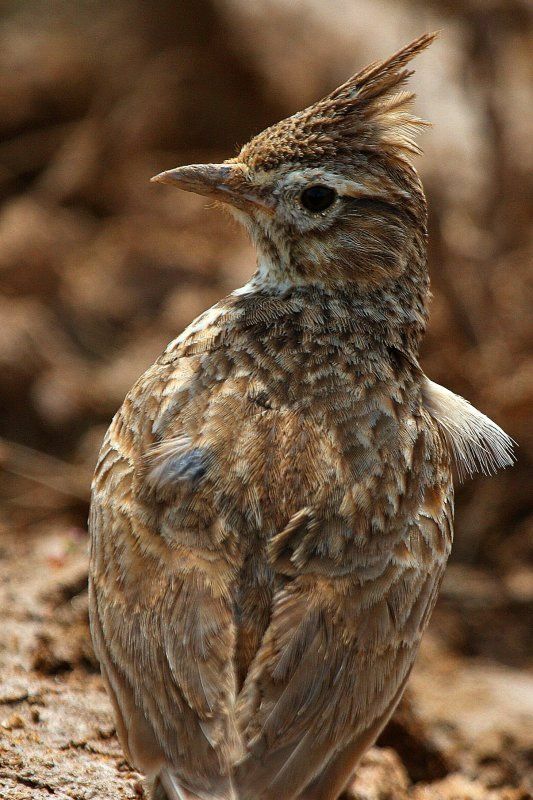 Other species include Fulvous Babbler, Hoopoe Lark, African Desert Warbler and Brown-necked Raven. There are sometimes seasonal lakes, which attract numerous wildfowl and waders - an amazing sight out here in the desert! It is also worth scanning the skies for migration, and as the day warms up it is possible to see good numbers of storks and raptors rising on the thermals and heading north towards their breeding grounds. We will also spend some time at dawn or dusk searching for the rather unpredictable Egyptian Nightjar, which sometimes breeds in nearby wadis. 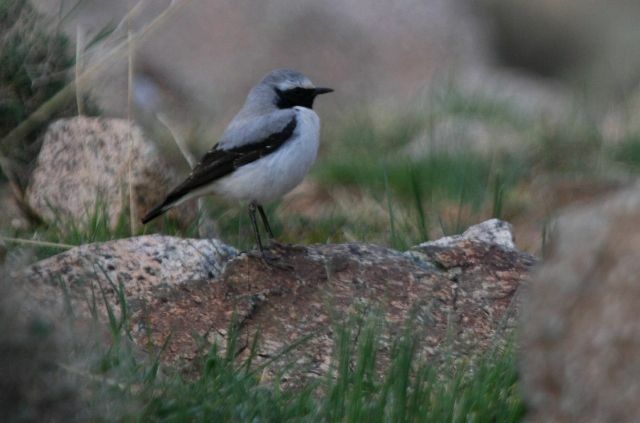 Other species in this area include Short-toed and Bar-tailed Desert Lark, Desert and Black-eared Wheatear, Dartford and Spectacled Warbler, Trumpeter Finch, Southern Grey Shrike and possibly Spotted Sandgrouse. One early morning we drive through the desert areas near the Algerian border in the search of the scarce Houbara Bustard. We will drive through the Anti-Atlas, the second Moroccan mountain range in importance; a series of rocky hills, cliffs and deep gorges of volcanic geological formations. Roadside birding will produce migrants and lots of wheatears, and perhaps Bonelli´s Eagle. We walk around Ouazarzate reservoir with a tremendous selection of birds which may include Moussiers Redstart, Wryneck, Western Bonelli´s, Western Orphean, Subalpine & Olivaceus Warbler, Desert, Northern and Black-eared Wheatear, Blue-cheeked Bee-eater, Rock and House Bunting among other migrants. Birding around Ouarzazate gives chances of water birds as Osprey, Black Stork, Night Heron, Little & Cattle Egret, Ruddy Shelduck, Black-winged Stilt, Little Ringed Plover, and White Wagtail of the subpersonata Moroccan race. Overnight in Ouarzazate. After breakfast we head towards Agadir on the Atlantic coast. We will stop in the famous medeival Kasbah Ait Benhadou, where birding is first class, and may include local specialities Desert Lark, Trumpeter Finch and Mourning Wheatear. After lunch in the scenic Tzin Izhsane we continue to the fertile Sous Valley, through scrub thickets and citrus groves where we could find European Roller, Black-shouldered Kite and Western Orphean Warbler. We could find anything from Black Kite migrating overhead, Blue-cheeked Bee-eater resting on roadside wires, to skulking Subalpine Warblers or a Lanner in a roadside promontory. Several stops will produce interesting migrant passerines, raptors, waders and storks. Overnight in Agadir, where we stay for two nights. Time permitting we head to Tamri, to look again for Bald Ibis. 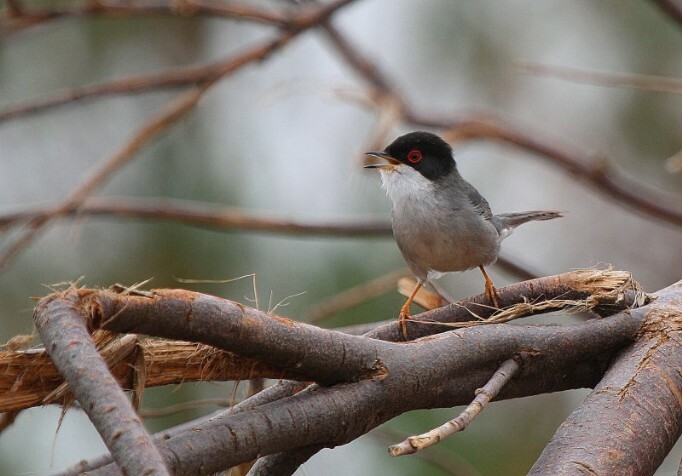 We may also see Audouin's Gull, Zitting Cisticola, Barbary Partridge, Moussier's Redstart and Sardinian Warbler, before returning to the airport in Marrakesh for our flight to London Gatwick. Please note: This is a flexible itinerary which may be adjusted to allow for changes in arrival and departure times, weather conditions and other related factors. * Scheduled return flights between London Gatwick and Marrakech, airport taxes. * Accommodation in en-suite rooms, Meals included in your holiday price are lunch on the day of arrival, to breakfast on the day of departure inclusive. * The services of your leaders and local guides. * The Heatherlea Pre-Flight Service offers everything you need at the airport, including hotels, car parking, airport lounges, regional flights, and upgrades. Let Heatherlea take the strain! Pre-flight airport hotel and lounge included subject to terms and conditions. * drinks/water with meals and other personal expenses. * optional tips to driver, and any other costs not specified as 'included'. * Field Guide. The 'Collins Bird Guide to Britain and Europe' covers Morocco, and we consider this the most suitable for this holiday. Accommodation We stay in a selection of comfortable hotel, all rooms are en-suite. Food All hotels provide international breakfast. In the Merzouga are we will have a simple breakfast typical of Morocco, consisting of fresh bread, butter, honey and jam. Fruit juice and tea or coffee is also available. For lunch we stop en-route in local restaurants where we will order a variety of simple but good fresh local produce and soft drinks. Some days we will have picnic lunches when out in the field. Evening meals will be a mixture of local and international dishes. Walking The holiday is not strenuous. Leisurely walking, very occasionally over moderately rough terrain, is the only physical requirement on most days. Most birding is done close to our vehicle, though we will need to walk to see high mountain species, and some exertion will be required in mountain environments. There will be the option to stay close to the minibus, should anyone wish to go back. Weather Typical temperatures will be around 20 - 25C. Changeable and sometimes cold, windy or wet weather is very possible on the Atlantic coast and the Atlas Mountains, so bring a warm jacket, gloves, warm layers and adequate rainwear. Insects There are biting insects, precautions are advised. Flights are by scheduled airline, from London Gatwick. We may be able to offer flight arrangements from another airport and/or or quote without flights so you can make your own arrangements. If you wish to add an extension either before or after your holiday, please contact us and we will be happy to arrange this for you. Why choose Heatherlea for your African wildlife holiday?